The 26 Best Water Bottles on Amazon, According to Hyperenthusiastic ReviewersAll of them are BPA-free — and one keeps your ice cubes frozen for 12 hours. Lots of Highly Classic and Very Durable Stanley Bottles Are Up to Half Off TodayFor your hot and cold hydration needs. The Chicest Summer Accessory Is a Water Bottle the Size of a Baby64oz or nothin. How These Entrepreneurs Made Drinking Water Look GoodBKR’s Tal Winter and Kate Cutler created the status glass water bottle. A Lot of Summery, Instagrammable Ban.do Is on Sale Right NowFor the young at heart. 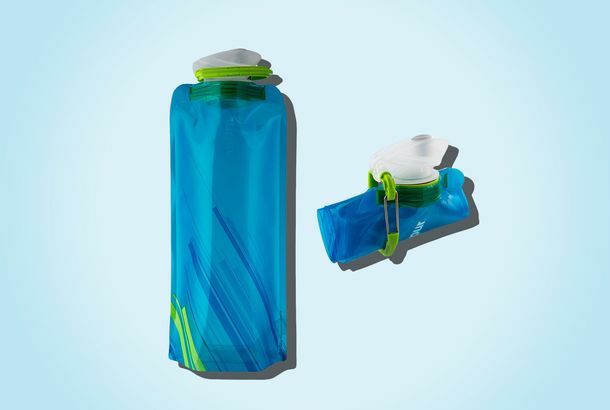 The Foldable Water Bottle I Can Stow in My Back PocketIt can keep me hydrated no matter where I am. Yoga in Bed-Stuy, BPA-Free Water Bottles, and a Trainer’s Dumbbell ExercisesWhat’s new in New York stores, fitness edition. Watch Justin Bieber Get Hit in the Head With a Water BottleAt a concert in Sacramento, a lady fan passed her drink to Bieber, but he could not catch it.